Shop online for 186 fujimi plastic models at discounts up to 46%. Cars / Trucks / Vehicles is the most popular of the 7 fujimi plastic models categories, then Parts/Acc., and Ships. 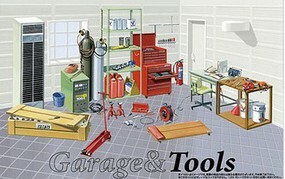 This is the 1/24 Scale Mechanic Tools by Fujimi. This is the 1/24 Scale Silver Narrow Wire Mesh 17'' Tire & Wheel Set (4) by Fujimi. This is the 1/24 Scale Hayashi Street 15'' Tire & Wheel Set (4) by Fujimi. 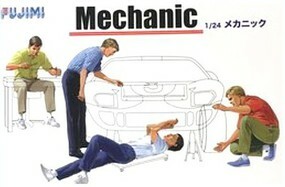 This is the 1/24 Scale Mechanic Figures by Fujimi. 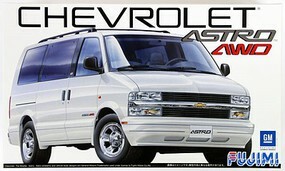 This is the 1/24 Scale RS87 Chevrolet Astro LT AWD Van Plastic Model Kit by Fujimi. This is the 1/350 Scale IJN Seamen in Service Clothes Plastic Model Vehicle Accessory Kit by Fujimi. 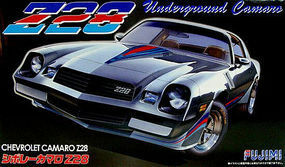 This is the 1/24 Scale Chevy Camaro Z28 Plastic Model Car Kit by Fujimi. This is the 1/24 Scale Ford GT40 Mk II #2 1966 LeMans Race Car Plastic Model Kit by Fujimi. This is the 1/700 Scale US Navy 1998 Carrier Aircraft Set (CVW2 & CVW5) Plastic Model Airplane Kit by Fujimi. This is the 1/24 Scale Lamborghini Aventador Sports Car Plastic Model Car Kit by Fujimi. This is the 1/350 Scale Imperial Japanese Navy Seaman Plastic Model Military Figure Set by Fujimi. 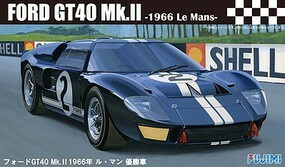 This is the 1/24 Scale Ford GT40 Mk II 1966 LeMans Race Car Plastic Model Car Kit by Fujimi. This is the 1/24 Scale De Tomaso Pantera Plastic Model Car Kit by Fujimi. This is the 1/24 Scale Dino Ferrari 246GT Sports Car Plastic Model Car Kit by Fujimi. This is the 1/24 Scale Honda CR-X Sports Car Plastic Model Kit by Fujimi. This is the 1/24 Scale 2009 Ferrari 458 Italia Sports Car Plastic Model Car Kit by Fujimi. This is the 1/24 Scale Drivers (3) with Optional Heads & Girl Model Figure (1) by Fujimi. This is the 1/24 Scale 2013 Lexus LS60hl Sports Car Plastic Model Car Kit by Fujimi.